This straightener is much like those of ten years ago. It straightens nicely but lacks the modern features of the newer and more expensive ranges. This is understandable considering the price and as long as you’re happy with that, this set is very good. BaByliss have designed it to look sleek and sophisticated with no unnecessary design features and a descent build quality. While your hair may need a light touch up in the evening, the results are glossy and reasonably well lasting. If you’re new to straightening or only straighten your hair once or twice a week, these are great and I highly recommend them. With no auto-shut off feature and a lowest temperature of 200 degrees, some people may look to the next model up within the BaByliss range to get a slightly more versatile product. These can be had for around £10 with relative ease but it’s really up to the individual. Overall, you will be happy with these until you’re really keen for those extra features. Founded in Paris by a French hair stylist after he began improving on some of the first curling tongs, BaByliss established a name for itself locally then nationally and now globally. While the company grew quickly, it wasn’t until Conair took it over in 1995 that it really became a household name. Now, BaByliss stands for consumer-friendly prices while retaining high quality, trustworthy products that try to compete with far more expensive brands. Ideal for those who don’t need a flashy brand or price tag but still demand hardworking products. BaByliss never let their products go out without some serious attention to looks and I like that because they don’t compromise the quality of the straighteners while doing it. 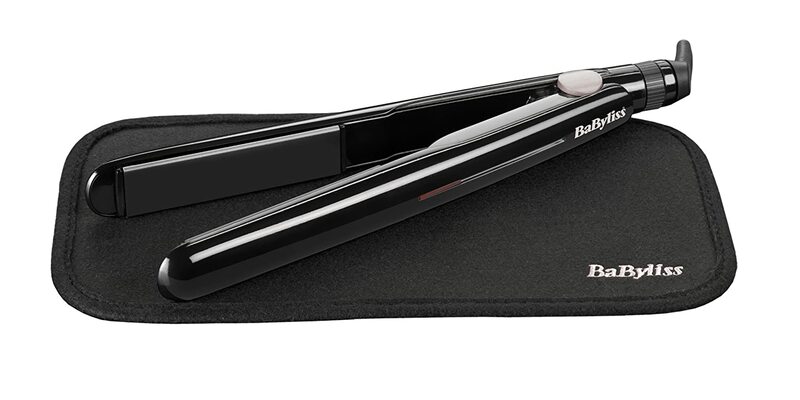 This basic BaByliss straightener is sleek and shiny with black plates and a sophisticated air to it. With two temperature settings, 200 degrees and 230 degrees, you should be able to use these on most hair and the switch is neatly located on the side as part of the on/off switch. The 2m swivel cord is a reasonable length and although I find BaByliss’ heat mats on the small side, it’s still a useful addition. This is very much an entry-level product from BaByliss but that doesn’t mean it’s not very good. In fact it seems much better all round than the Remington version and the ceramic leaves hair looking beautiful and glossy. While results may not last throughout the day, and not very well overnight, a touch up here and there will provide nicely straightened hair without much effort. 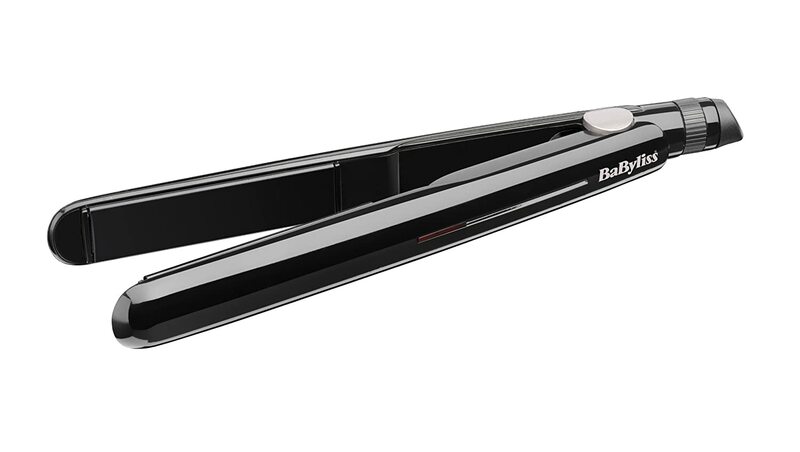 It’s quite easy to curl and wave with this straightener although if you’re looking at doing that often then it may be worth investing in a straightener that has more capability for it. 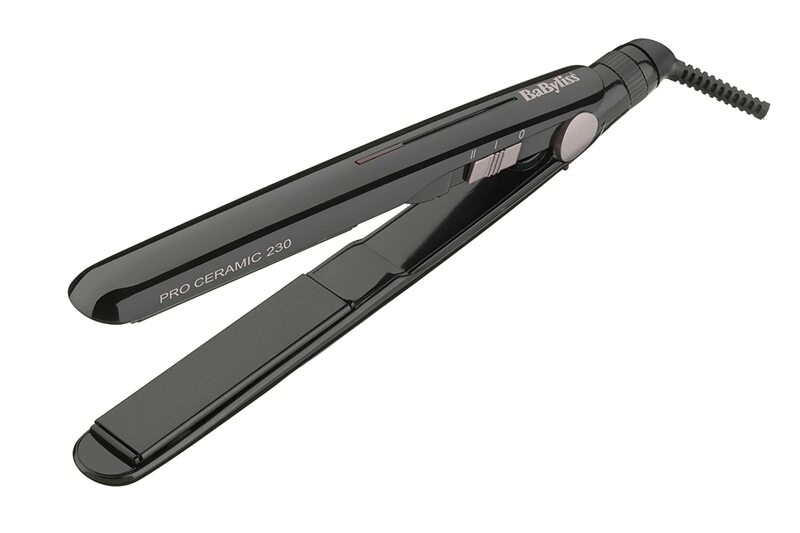 The price of these has got to be the biggest drawer and even if you straighten your hair regularly they should keep it glossy and happy. They’re small and manageable while still straightening quickly and they come with worldwide voltage making them good for overseas use. The thing that these entry-level products lack is usually an auto-shut off feature. I really like the 30 minute GHD ones and even the 60 minute shut offs in other brands but this straightener doesn’t have it at all. It’s this absence and that of other, more technologically advanced features that makes this cheap and basic.